For a real countryside holiday, book your stay at the Yelloh! Village les Bois du Châtelas! Our campsite in the Drôme located in the little town of Bourdeaux, just 45 minutes from Montélimar, will welcome you for a sun-drenched holiday! With mountains, lush forests and the Provençal scenery, you'll discover all the delights of a diverse and fertile region, through its lovely landscapes and through its cultural heritage. Our Les Bois du Châtelas campsite has all the facilities and services of an upmarket establishment, with modern chalets and mobile homes, shady and spacious pitches, a wonderful aquatic park and plenty more! Countryside, comfort and discovery await you for camping holidays close to the Vercors! One of the best yelloh village campsites i’ve been to in the past 5 years. full marks. Come and enjoy a camping holiday close to Montélimar, in a region in which you'll be dazzled by the majestic landscapes and wild countryside! The Vercors takes its name from the mountain range in front of the Alps. Reaching an altitude of 2,300 metres, this location is a genuine treasure trove for those who enjoy hiking and other mountain activities. All sorts of routes leave from the campsite, so come and enjoy them on foot, on horseback or by mountain bike! Where there are mountains, there are also watercourses and rivers. With a length of 110 km, the Drôme river is the region's main attraction. Come and explore it by canoe or kayak, or see it from above with some paragliding! The region enjoys a rich historical and cultural heritage, as demonstrated by the Château de Madame de Sévigné, which looks out over the town of Grignan. This building has survived through the centuries and will be an opportunity to re-live France's past in a sumptuous setting. 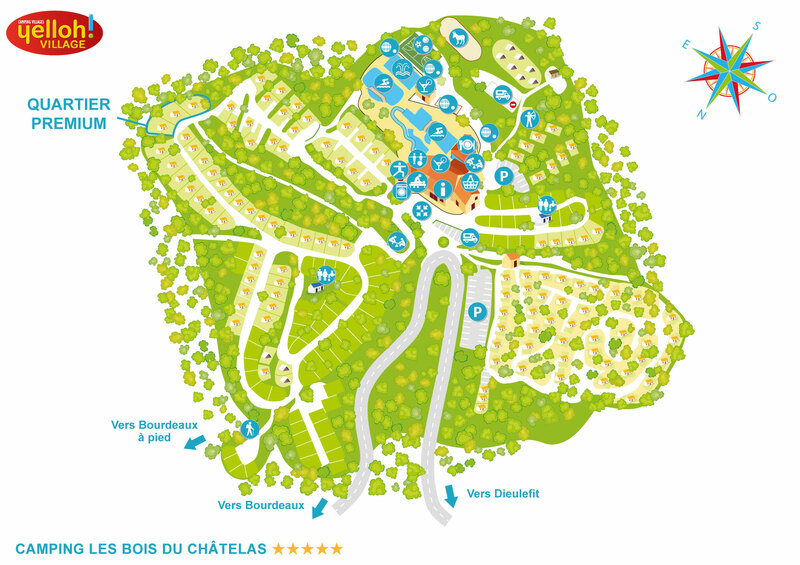 If you come with your family to the Bois du Châtelas campsite, don't forget to take your children to the crocodile farm at Pierrelatte. They'll love watching the various reptiles here, which are enclosed in an 8,000 m² glasshouse! And finally, you really can't come for a camping holiday close to Montélimar without trying some of its famous honey and almond flavoured sweets! Montélimar is home to nougat, and you'll really enjoy this town's lovely Provence-scented alleyways!